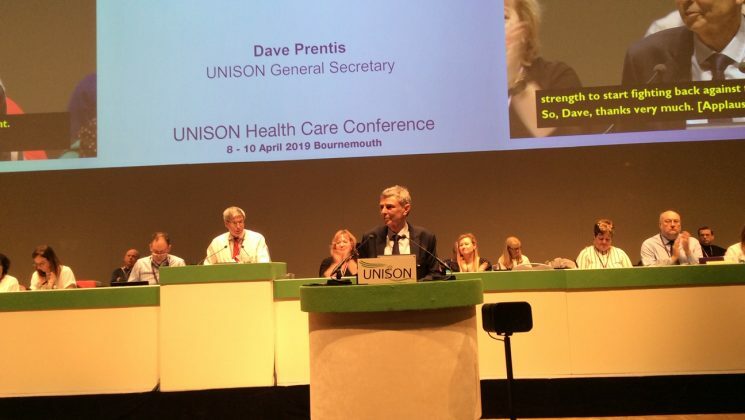 “The government may have ground to a halt – but our union hasn’t,” UNISON general secretary Dave Prentis told health delegates in Bournemouth today. In a rousing speech, Mr Prentis then applauded some of the union’s many recent successes in defence of its members, while outlining some of the challenges and aims that lay ahead. To begin, he paid tribute to the members and branches at the forefront of the battle against subsidiary companies in Leeds, Leicester, Mid Yorkshire, Tees, Esk and Wear, Rotherham, Wrightington, and Wigan and Leigh. “This time last year subcos were a looming threat that we feared would break us,” he said. “Yet in branch after branch, region after region, we took them on. “When will politicians and big business learn? Our members want to work for the NHS, not Rentokill, not Carillion. Mr Prentis praised other workers all over the country who have successfully fought to keep services in-house and to maintain TUPE, and those in private companies taking industrial action to secure NHS wages. And looking ahead he said: “I want to make it clear to the next Labour government that our union demands that all privatisations, all outsourcing of our NHS be ended immediately. No ‘ifs’ no ‘buts’, no weasel words. 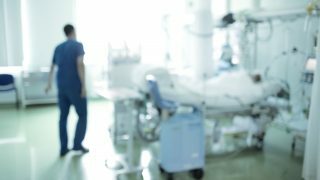 Speaking of the “life-changing” pay deal achieved for NHS staff last year, largely through UNISON’s efforts, Mr Prentis again looked to next steps. 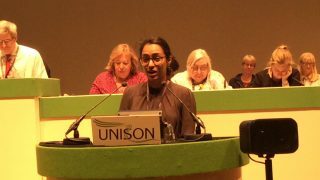 “Our commitment to members in Northern Ireland and our members in private contractors is that we will fight for you to get the same pay deal that everyone in our NHS has earned. You will never be left behind. 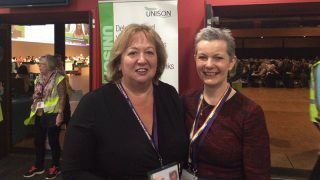 He was again full of pride in outlining UNISON’s record on fighting racism, while noting that this was another area in which the union and its members were facing new challenges. “Since the EU referendum, attitudes we thought were fading are now back with a vengeance, and new faces are spouting age-old hatreds. And on the issue of the day, leaving the EU, the general secretary reiterated his view that a no-deal Brexit would be a disaster for public services. “If the only choice is a between a bad deal or no deal – it needs to go back to the people,” he said.